The primary mission of the Dandridge Police Department is to maintain its highest level of professionalism, integrity, and equality. The Dandridge Police Department’s primary responsibility is to protect life, liberty, and property ensuring the highest quality of life for our citizens. 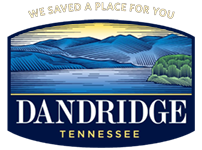 The Dandridge Police Department ensures that the Constitution of the United States, all Tennessee State Laws, and City Ordinances are enforced. In remembrance of being the second oldest town in Tennessee, we are responsible for keeping our neighbor’s values in mind. 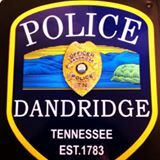 The Dandridge Police Department will be known as a community oriented agency. Handgun carry permit classes are held at the Dandridge Police Department. The cost is $65.00 and pre-registration is required. For more information regarding the handgun carry permit process and class requirements, please CLICK HERE! Upcoming classes are scheduled for: November 17th, and December 8th. begins promptly at 5:00 p.m.
All citations must be paid no later than scheduled court date. To obtain accurate fee total, call the Records/City Court Clerk Christina Ramey at 865-397-8862 ext. 21 or fax request to 865-397-4859. Please include ticket numbers with all requests. This is a dedicated phone line open 24/7. Call dispatch to request an officer or animal control. If you would like to advise the Police Department of criminal activity that is not an emergency or an in-progress crime, and want to remain anonymous, you can leave a tip on our hot line by calling 865-397-8861. Crime prevention is best achieved when law enforcement officers work side-by-side with the public to fight crime in our community.